Mallorca is renowned for so many things: diverse, natural landscapes, history, culture, delicious food, and of course, the beautiful Mediterranean Sea. The level of high-quality hotels with sea views and beach access continues to grow across the island, from Port de Pollensa down to Palma and over to the eastern shores as well. Enjoy one of these top boutique hotels for private beach access or as a jumping off point for sailing; perhaps wellness treatments or swimming pools are more your things – not to worry, there is something for everyone in each of these hotels presented here. 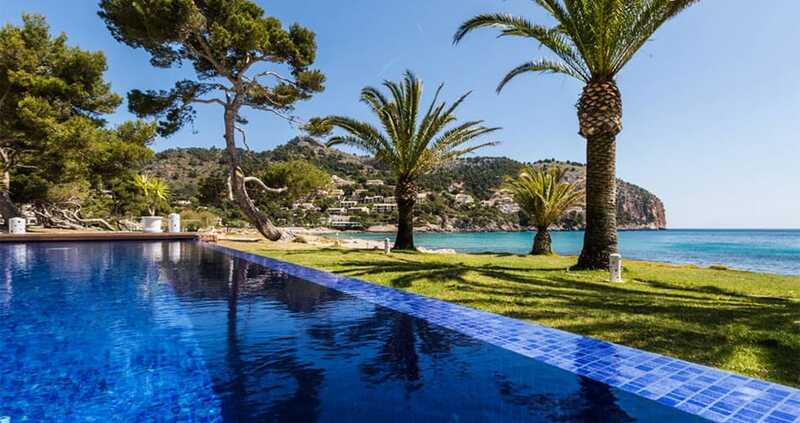 The competition is getting tougher for 5-star hotels on Mallorca, with more luxury hotels opening nearly every few months it seems, each offering enhanced experiences, spa treatments, more privileged settings, and VIP services. It’s time to take advantage of all this beauty and treat yourself to a real holiday! Located in the Barrio Calatrava, above the Baluard del Princep, in historic Palma, Es Princep is a 5-star hotel that mixes Mallorcan heritage with boutique-style luxury. Opened in early 2018, Es Princep Hotel has beautiful sea views, and elegantly designed rooms and suites. 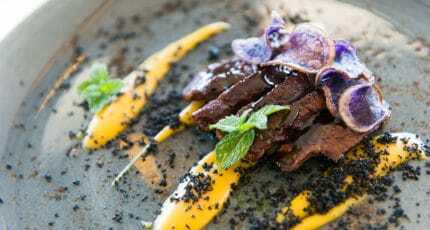 Standout highlights include a gastronomic restaurant, Bala Roja, that serves mouth-watering cuisine, and it’s Coco Spa that offers top of the line beauty treatments. And did we mention the beach is just across the street? This adults-only hotel on the edge of the sea in Illetas is part of the exclusive, Leading Hotels of World, and for a good reason. Stretching out along the coast, the property is beautifully landscaped with green lawns, lounge chairs, a pool, and views at every turn. There is a very small, nearly private beach as access is difficult for non-hotel guests. The luxurious spa features Clarins products and the latest well being and beauty treatments. 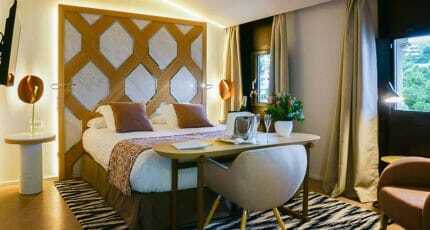 The Hotel Hospes Marciel & Spa has a privileged location, right on the seafront near Cas Català. The building, originally a majestic palace built in the 1940s, exudes glamour and old-world style, but with all the contemporary amenities you want in the 21st century including a revitalising spa, pool bar, and its private jetty so you can wake up and head out on your boat for the day. The beachfront, Nixe Palace Hotel offers guests a private, white sandy beach to enjoy in Cala Mayor, and an ideal location just minutes from central Palma, golf courses, and luxury marinas. Imagine yourself soaking in a hot, thermal tub as you gaze over the Mediterranean? The spa at the Nixe Palace Hotel includes a large solarium room and indoor-outdoor space that adds another level of relaxation to the experience. From the old world glamour of Formentor to the contemporary cliff-side Jumeriah Port Soller, to an understated eco-luxury in the Canyamel, to a renovated fortress in the southwest, each of these exclusive, beachfront hotels will delight the senses and inspire the soul. The first-class service of the St. Regis meets Mallorcan style at this seafront hotel located just next to Puerto Portals in Costa d’en Blanes. The large property stretches down towards the sea, with large green lawns, two pools, and lounge chairs with 180-views of the sea. Gourmet restaurants, a spa, kids club, and golf academy are just a taste of other features to enjoy while staying at the St. Regis Mardavall. Pure Salt is a premium, 5-star hotel, overlooking the exclusive Philippe Starck designed, Port Adriano, with stunning sea views, and direct access to the beach. Relaxation begins the moment you walk through the door, with a complimentary drink as you check in and get settled. Luxurious rooms and suites with stunning sea views, a large central pool and spa ensure that guests are pampered throughout their stay. An adults only 5-star hotel located seaside in Portals Nous, the Iberostar Grand Hotel Portals Nous mixes luxury and fun in a new way, such as rooms that include Swarovski lighting on the ceiling, mini golf on the terrace, and even a pole for dancing. Other standout features are direct access to the beach, a luxury spa, and butler service. Cap Rocat is one of Mallorca’s most unique hotels, housed in an old military fortress which was renovated by architect, Antonio Obrador. Contemporary additions include a spectacular, salt-water infinity swimming pool, an otherworldly spa, and a dramatic mix of old architectural features like stone walls and crenulation, with modern accents. There is direct access to a nearly private beach as outside access is nearly impossible. This is an adult’s only hotel. 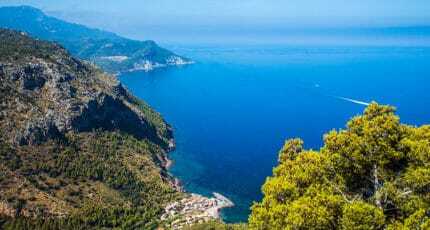 The Jumeirah Port Soller Hotel sits perched on the cliffs above the charming Port de Soller, in a privileged location that gives 180 views of the Mediterranean Sea. Opt for easy beach access via staff driven golf carts or spend the day in one of the two large swimming pools, sipping fresh juices or cocktails. The spa includes several hammams’s and a Jacuzzi, salt-water infinity pool with sweeping mountain views. Formentor, A Royal Hideaway offers a bit of old-world Hollywood glamour at the northernmost tip of the island. With its secluded setting and pristine conditions, this hotel has one of the best beaches on Mallorca. Oddly, however, guests have to pay for sunbeds, and though at last check, the interior of the hotel and bedrooms looked in need of reform, the location remains one of the best on the island. 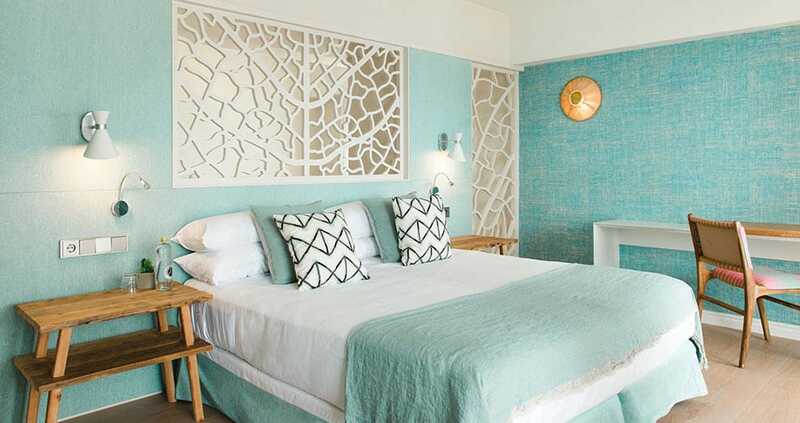 A charming, seaside hotel with direct beach access, the hotel Melbeach in Canyamel, in Mallorca’s Eastern shores, is for adults-only and offers a relaxed and friendly environment. A dark blue tiled pool, a chill-out lounge and onsite restaurant are bonuses, ensuring you rarely have to leave this little enclave of peace. Hotel Can Simoneta sits high on the cliffs of Mallorca’s northeastern shores, in Canyamel, with a large green lawn stretching right to the cliffs edge. This 5-star, adult’s only hotel has incredible sea views and offers easy access to a host of nearby activities include top golf courses, horse riding, and cycling. The wellness spa uses the organic, Natura Bissé line, another bonus. Pleta de Mar is a new 5-star, waterfront hotel in Canyamel started by the same owners as the sumptuous, Convent de la Missio in Palma. This elegant hotel is perfectly integrated with its natural surroundings and uses materials like wood and stone throughout the buildings. With two infinity pools (one heated in the cooler months), and direct, private beach access, this hotel is an ideal example of how environmental can also mean luxury. 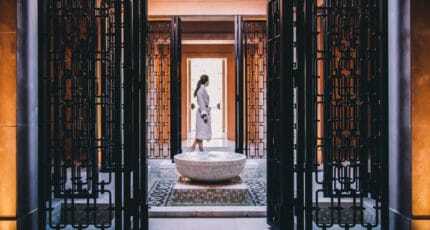 Upgraded from its previous incarnation as a 3-star hotel, Honucai Hotel reopened as a 4-star property after a top-to-toe makeover under the expert hand of interior design company Bondian Living. The 76-room hotel’s frontline setting overlooks the beachfront promenade in Colonia Sant Jordi, while offering top-class seafood at it Salicornia restaurant. The ME Melia Hotel in Magaluf sits directly on the beach and offers guests their own, exclusive area along this white sand beach in Calvia. Surrounded by palm trees, this lifestyle hotel caters to the 21st-century guest looking to combine their hotel stay with a creative atmosphere that is fun and friendly. An adult’s only pool and separate kids/family pool are reflective of this hotel chains intuitive thinking. The Hotel Espléndido, on the boardwalk of Port de Soller, just a stone’s throw from the beach, blends the best of Scandinavian design and friendly and efficient service, with laid-back Mediterranean style. Sea view or garden rooms are impeccably designed, and drinks or an early dinner on the terrace bar as the sunsets over the sea is delightful. The same owners as the Esplendido in Port de Soller, Portixol Hotel is a small and exclusive hotel in the charming beach community of Portixol, just minutes from central Palma, and steps from the beach. With a style that blends a bit of Palm Springs and mid-20th century Miami, and featuring a large pool, lovely sea views and friendly service, this is a contemporary hotel with a lot of class. 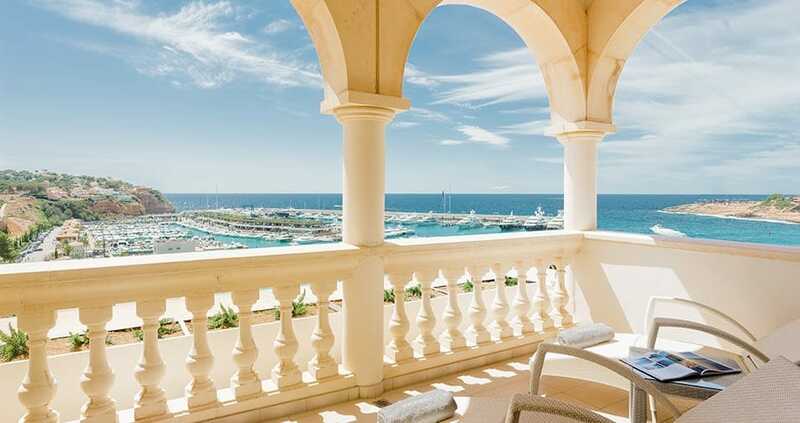 Located on the cliffs above the Bay of Palma, the views at this seafront, 4-star hotel seem to go on forever. The well-designed terrace includes tables for the gourmet restaurant as well as lounge chairs for chilling poolside and listening to the lapping sounds of the waves. The Hotel Bendinat feels like an exclusive mansion, tucked among the trees and integrated with nature, while the shops and restaurants of Puerto Portals are in fact just 2-kilometres away. Illa D’Or is a wellness & spa hotel on the beach of Port de Pollensa. Offering direct beach access and a long jetty that makes hopping on a boat easy, this classic, beautifully maintained hotel, was founded in 1929 and has a long history of catering to people’s needs and making them feel welcomed and relaxed in this unique setting. Son Caliu is an oasis of calm just 15-minutes from Palma centre. Located between Puerto Portals and Palma Nova, this seafront hotel has a large swimming pool and a 1,100 square metre Spa and wellness centre for all your relaxation and treatment needs. Direct sea access, including a jetty for docking small boats, this larger 4-star hotel remains intimate with friendly service. 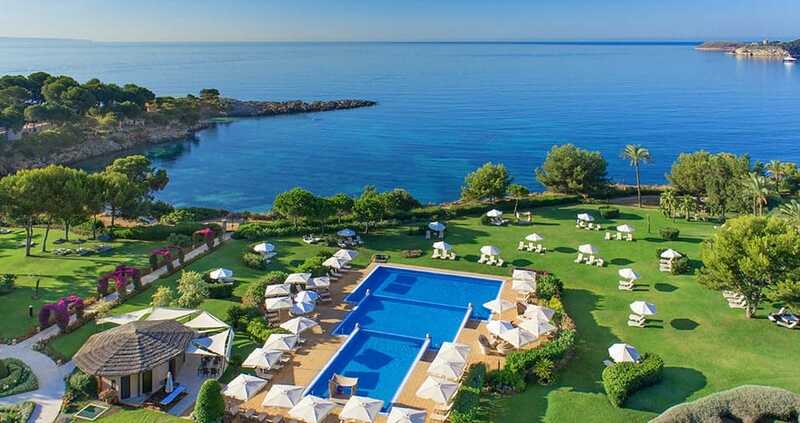 We hope you have found this article about the Top 20 beachfront luxury hotels on Mallorca useful and that you have many memorable stays in Mallorca as a result of our recommendations.